22 Oak Street Franklin, NH. 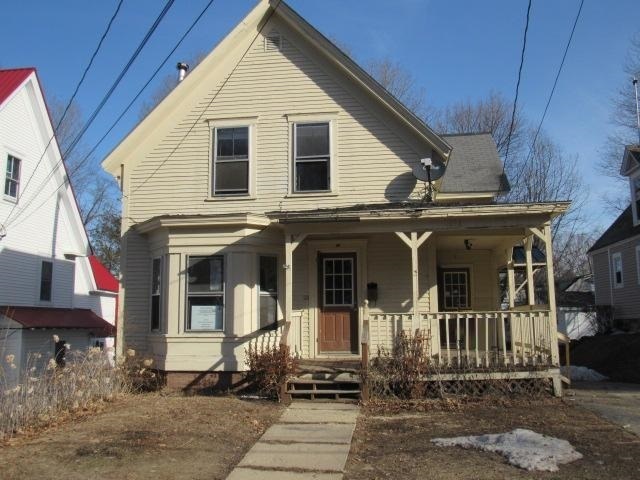 | MLS# 4742421 | Homes for sale in nh, BobbyVan Realty can help you find homes in NH & Mass, information about the New Hampshire & Massachusetts real estate market. Disclosures: State law requires Smoke/ Carbon Monoxide detectors be installed for properties having combustible fuel heaters/furnaces, fireplaces, hot water heaters, clothes dryers, cooking appliances, or an attached garage, but seller (HUD) is exempt from this requirement as a Federal Entity, Has a heating oil storage tank located in the basement. Any required system repairs will be the buyer&apos;s expense. Repairs: Treat and paint defective paint surfaces- LBP, Replace floor covering, Per PCR, damage sink and missing components, inspect and repair as needed, Repair damage drywall. Prop Avail 3/27/19. Bids Due by 4/5/19 11:59pm CT then Daily until sold. FHA Case#341-142579.Insured w/escrow Repair. Elig for FHA 203K. Per FHA Appraiser 1,167 Square feet.